So… You're in charge of the phones now! Every once in a while, your login may lock out. And if you use just one, or if you have some scripts using one, you might not want to wait for the account to unlock automatically (hopefully it does). or other applicable domestic and foreign laws. regarding the protection of information assets. Your account is locked. Maximum amount of failed attempts was reached. So here are three things that are totally obvious once you’ve done it once. Have another login handy. Create a second just-in-case. This is easy also, but not completely straightforward. Check your account lockout policy. This is done via the web interface at Security->Login Account Policy. You can set the number of failed accesses that trigger a lockout and the time the account is locked. 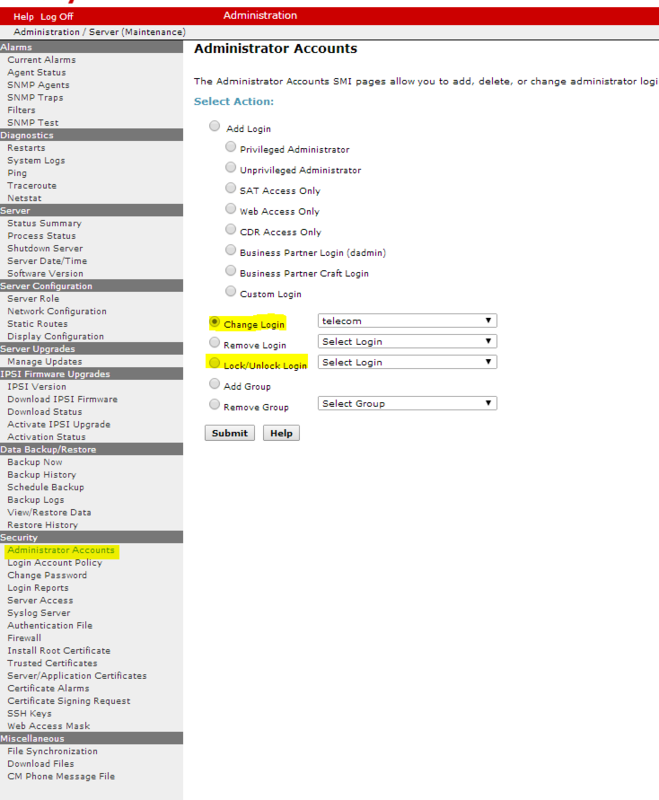 You can manually unlock an account via the web interface at Security->Administrator Accounts. You can “Change Login” and uncheck the “Lock This Account” checkbox, or you can go to Security->Administrator Accounts and select the “Lock/Unlock Login” and it will toggle the locked status. 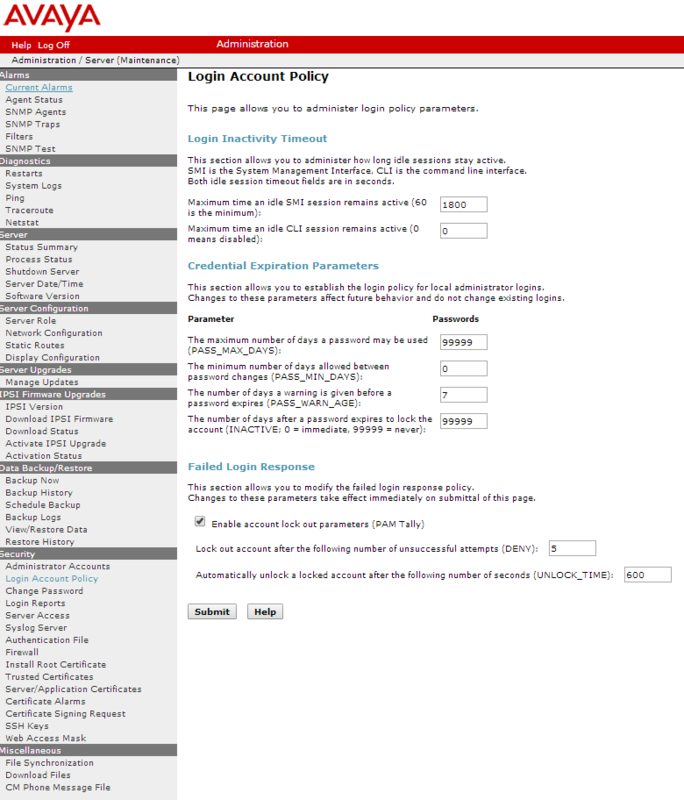 Here are a couple screenshots showing the lockout policy (at the end of the Login Account Policy screen) and the account lockout screens. So… should I delete the rest of this post? Probably not. I suppose you may want to teach your helpdesk folks how to use the GUI rather than the terminal. So there you go. This entry was posted in Avaya, pbx on April 4, 2014 by roger. Thanks, you just save us at least .5hr of our Avaya partner’s labor ($120/hr) – this amount of time they quoted me to unlock my user account! Yes of course! I’m flattered and I’m looking forward to checking out your site! Microsoft dropping support of PBXs through SBCs? Roger speaks at TEDx Naperville about disrupting the telemarketing industry! Avaya may be filing Chapter 11?